Considered the birthplace of the Italian Renaissance Tuscany is home to many influential figures in the realm of art & science. Its historical significance can be dated far beyond this and its ancient viticulture has always developed beside its culture. Back in the 8th century BC when its first inhabitants (the Etruscans) settled in they began cultivating vines and exporting wine to neighboring regions. Hundreds of years later they were well regarded for their work and with the help of Greek literaries their efforts toward quality wine became more noted abroad. Nestled between the Tyrrhenian Sea (to the west) and the Apennine mountain chain (to the east) the region benefits from a relatively mild climate. Proximity to each of these natural features will dictate the nuances of each region soils, microclimate and wine profiles. However, a common Tuscan theme is showcased by predominantly hilly terrain with many vineyards planted at elevations between 250m & 450m. Rooted in historical appelations with worldwide recognition Tuscan fame is often attributed to the likes of Brunello di Montalcino, Chianti Classico & Vino Nobile di Montalcino with emphasis on Sangiovese. 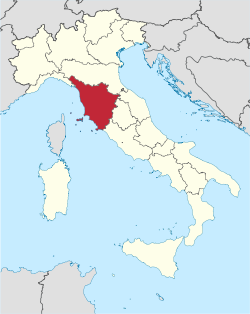 However, the 1920s gave birth to a “New Tuscany” which encompasses an area that was previously uninhabitable. It is now home to exceptional international varieties and rising micro appelations cultivating indigenous grapes.